Description: TSAL157 - Rolly Polly is a sculpture that although being a marble statue has an uncanny life-likeness to the real deal. This is one of the many animal statues to bring you closer to your furry friends. 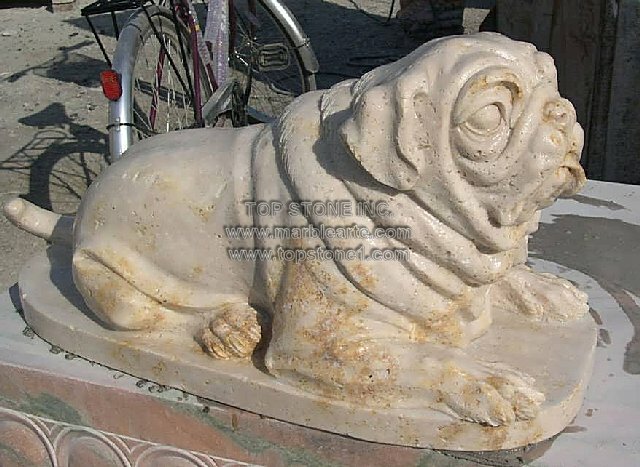 Buy one of these dog marble statues today as unique garden statues for your patio statues as well as home statues. With intricate details embossed onto fine marble, appreciate the marble artist with these marble statues life size in your homes.